The Workers Party of Ireland condemns the U.S. sponsored attempted coup against the democratically-elected government of Nicolás Maduro and the recognition of Juan Guaidó, who illegally and in contempt of the democratically expressed wishes of the people of Venezuela, announced himself as interim President of Venezuela, and received immediate recognition by the United States and its regional proxies Colombia, Brazil and other Lima Group nations. The shameless intervention of the imperialist European Union and the threats of the governments of the UK, Spain, France and Germany, no strangers to imperialist intervention in other states, to recognise Guaidó as President unless there is compliance with its aggressive ultimatum that another election is called within 8 days, is a further attempt to destabilise Venezuela and to dismiss the results of the democratic elections that took place in accordance with the country’s constitution in 2017 and 2018 . 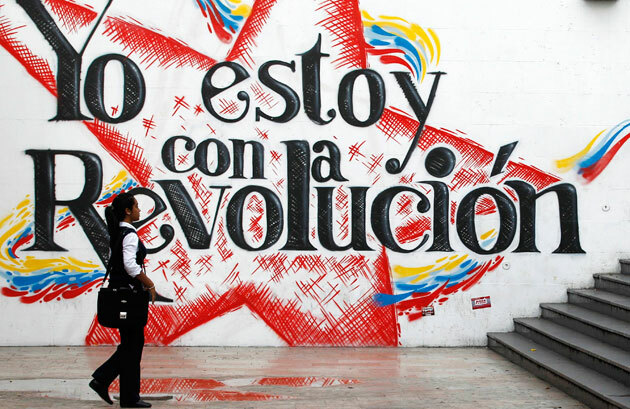 These actions are part of a deliberate strategy to overthrow the government of Venezuela in favour of capital and capitalist exploitation and reverse progressive positions adopted in the interests of the Venezuelan working class. These imperialist powers have artificially constructed an “economic crisis” in Venezuela in an attempt to justify regime change, a classic tactic of imperialism. These forces have through the imposition of crippling sanctions, trade discrimination and other forms of economic warfare inflicted misery on the people of Venezuela. Their attempts to invoke unrest and to instigate military support for their presidential puppet are reminiscent of the U.S. tactics which overthrew the democratically elected government of Salvador Allende in Chile and exposed the people of Chile to years of terror under a brutal right-wing dictatorship. The peoples of the world and the progressive forces must stand in solidarity with the working class of Venezuela at this critical moment. The Workers Party of Ireland stands with the elected President of Venezuela, Nicolás Maduro, with the progressive forces that are rallying to defend the President, and the independence of Venezuela, and, in particular with our brave comrades in the Communist Party of Venezuela, which has recently suffered many deaths of its members in the struggle to build socialism in the country. The Workers’ Party calls on progressive, anti-imperialist forces to resist imperialist designs in Venezuela and demands that the Irish government oppose any effort by the U.S. and EU to intervene against the elected President, Nicolás Maduro, and the legitimate government of Venezuela.